Identified as one of New Jersey's Outstanding Lawyers by Superlawyers for over 10 consecutive years, including 2018. Lee Tesser has garnered a reputation over the course of his career as one of New Jersey’s leading litigators, lecturers and writers in the field of construction law. Mr. Tesser is well versed in real estate development issues, including contract negotiation, real estate transactions, financing, government approvals, representation of construction managers and contractors, and the construction process. Having litigated and arbitrated numerous construction cases, Mr. Tesser has a deep understanding of issues relating to construction work, delay claims, constructive acceleration, and defective and incomplete work. When surety and lien claims arise, Mr. Tesser is adept at handling the claims process, and serves as legal counsel for owners, sureties, contractors, subcontractors, architects, engineers and suppliers. A published columnist and contributing author of State-by-State Analyses of Legal Issues Affecting Architects, Engineers, Contractors, and Owners - Author, State of New Jersey Treatise, Aspen Publishers, Inc., Mr. Tesser is in constant demand as a guest speaker by construction related organizations. 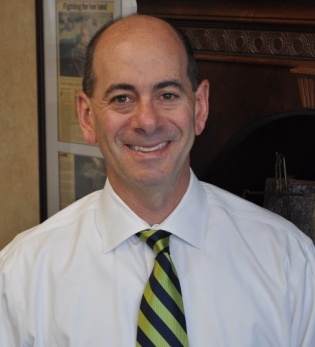 A former chair of the New Jersey Bar Association, Construction Law Section, Mr. Tesser has been recognized on numerous occasions as being one of the most outstanding lawyers in the State. In addition to being an advocate on behalf of his clients, Mr. Tesser is also an American Arbitration Association arbitrator for construction related cases. Managing Liability and Risk in Your Engineering Practice; September 2015 - Half Moon Education, Inc. The Construction Process from Start to Finish; June 2005, June 2006 - Lorman Education Seminars. AIA Contract Documents; April & September 2005 - Lorman Education Seminars. Advanced Construction Law in New Jersey; June 2005 - National Business Institute Seminars. Residential Construction: Legal & Practical Perspectives; June 2005 - Lorman Education Seminars. Public Works Construction: New & Dramatic Legal Changes in New Jersey; April & June 2005 - Lorman Education Seminars. Techniques Used in Construction Scheduling in New Jersey; October 2004 - Lorman Education Seminars. Analyzing & Proving Construction Project Damages; June 2003 - Lorman Education Seminars. State-by-State Analyses of Legal Issues Affecting Architects, Engineers, Contractors, and Owners - Author, State of New Jersey Treatise, Aspen Publishers, Inc.
Reported Construction Law Decision: Sparwick Contracting Inc. v. Tomasco Corp and Carl Walker Construction Group, Inc., 335 N.J Super. 73 (App Div 2000). AV Rated by Martindale Hubbell for ethical standards and legal ability for 10 plus years. Construction, Surety Law, Commercial Contracts, Condominium Representation, Commercial Transactions, Construction Arbitration; Contractor Performance Bonds; Construction Defect Litigation; Commercial Litigation (Bid Protests, Delay Claims, Wrongful Termination, Construction Contracts); Real Estate; Construction Liens, Professional Liability for architects and engineers.